Are you looking for a gift idea for that hard-to-buy for guy on your list this holiday season?? Well then let me recommend a great gadget gift for him - Chamberlain’s myQ Smart Garage Hub! This lets you monitor, open, and close your garage door from anywhere in the world with a smartphone. You can even receive alerts when the garage door opens or closes, letting you know when anyone is coming or going. New, enhanced myQ setup provides step-by-step instructions and links to videos and troubleshooting tips for an easy-to-follow, simplified installation. 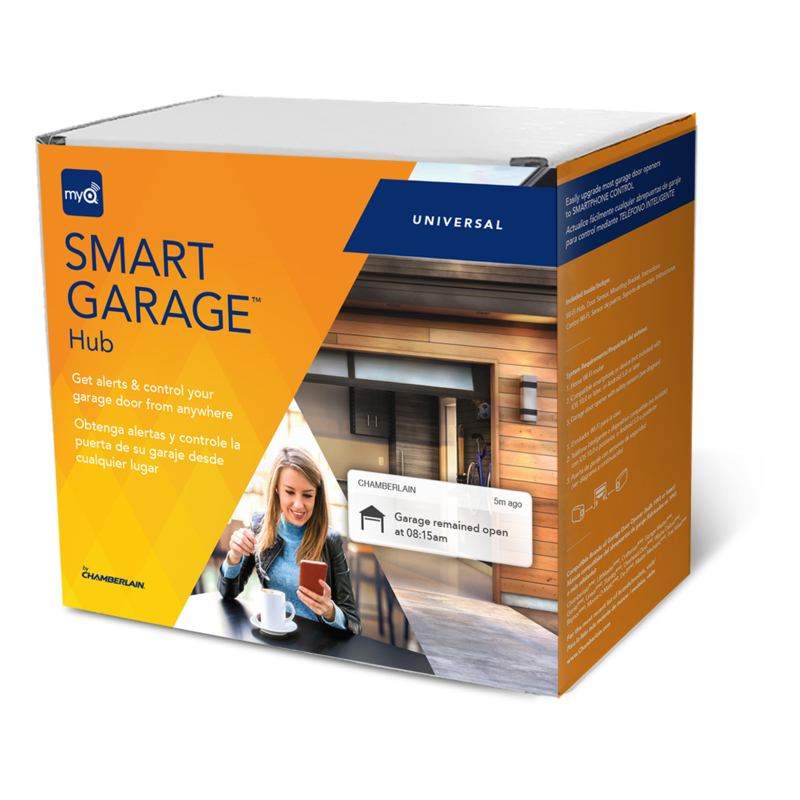 Works with HomeKit, Nest, Google Assistant, IFTTT, Xfinity Home, Honeywell, and Wink, so you can connect your garage door to other home devices. Real-time alerts - Get notified when your garage door opens and closes. Daily schedules - Preset times for your garage door to close or your lights to turn on/off every day. Smartphone control for any opener - Check the status of and control your garage door and myQ lights with the myQ App. Universal compatibility - Works with most brands of garage door openers made after 1993. This would make a great gift idea for that man (or woman!) that always forgets to shut their garage door or is always worried whether they did or not! 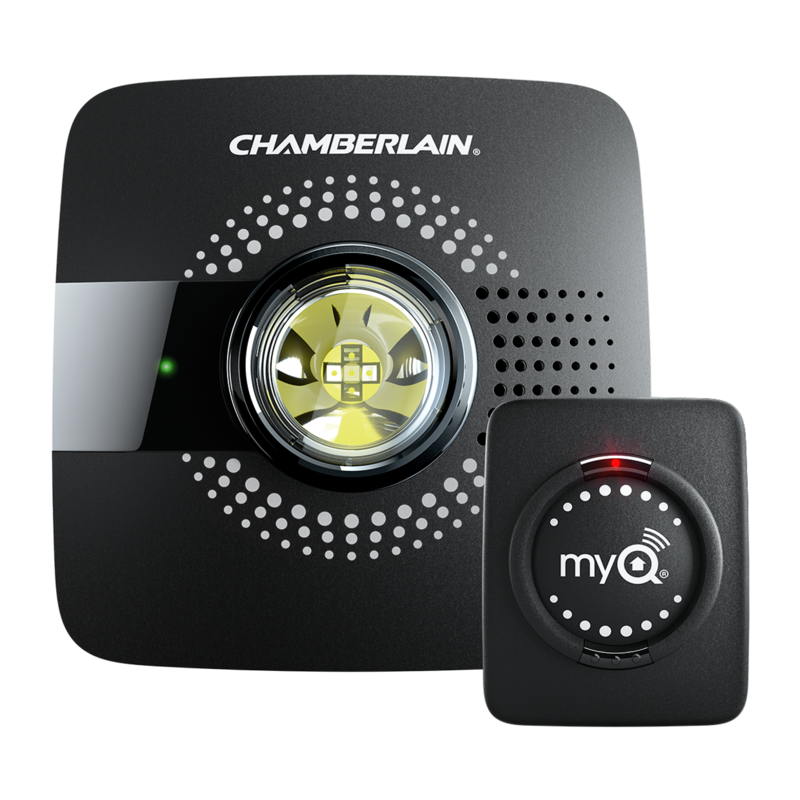 You can purchase Chamberlain’s myQ Smart Garage Hub from Amazon, Lowe’s, Home Depot, and the Chamberlain.com.